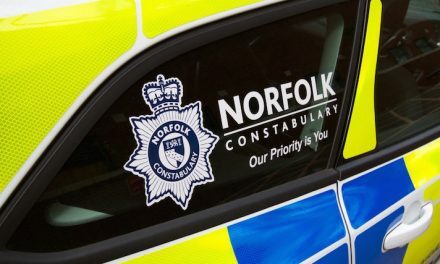 Norfolk’s chief police officer has urged people to go about their daily business, while being alert to suspicious activity. It comes as police respond to the national terror threat level being raised to critical. Armed officers have been deployed to key locations in both counties, in particular crowded areas with high footfall such as the city centre, to provide visible reassurance. It comes after the Joint Terrorism Analysis Centre raised the threat level last night – meaning an attack not only remains highly likely but a further attack may be imminent. Chief Constable Simon Bailey said: “The public would expect us to respond appropriately to this raised threat level and the deployment of armed officers is our primary response to this. “Norfolk is a safe county and this additional policing is about providing a visible reassurance to the public. Military personnel are not currently being deployed in joint patrols with police officers in crowded places – but the threat assessment is continuously under review. Officers are also reviewing security plans for a number of events in the coming weeks. Members of the public are asked to remain calm but alert – if you see anything which causes you concern, then call the police immediately. Look out for anything that seems out of place. To report any suspicious activity or behaviour call 0800 789 321 or in an emergency dial 999. • The national threat level has been raised to ‘critical’ – what does this mean? The Joint Terrorism Analysis Centre raised the threat last night meaning an attack not only remains highly likely, but a further attack may be imminent. In response to this heightened threat the public will see an increased policing and security presence across the county and at key sites and other crowded places to help protect communities. • What does this mean specifically for Norfolk? Norfolk remains a safe county and any additional policing is about providing a visible reassurance to the public. • Are military personnel being deployed in joint patrols with police officers across Norfolk? Military personnel are not currently being deployed, but the threat assessment is continuously under review. We will be patrolling some of the key locations in the city and town centres as well as other places that have a high footfall. They will be carrying weapons and are there to provide reassurance whilst remaining approachable. We would encourage anyone with questions about what their role is to go and speak to them. • There are events coming up – are these safe to go to? Our officers from the event planning team and protective security experts will be working with event organisers and the multi-agency Safety Advisory Groups to ensure that venues have appropriate security measures in place. • Will these events still go ahead now that the threat level has been raised? Some public events may be subject to cancellation. Please contact your event organiser or check details online before attending large events such as sports matches and concerts. • What do I do if I’m going to one of these events? Allow extra time in advance of attending public events as heightened security measures such as searches may be implemented. Please be patient while these important checks are made by a police officer or authorised security representative. • What is your advice to members of the public to keep safe? Norfolk Police and our partners are doing everything we can to prevent an attack and to protect the public, but communities can take steps to help protect themselves. 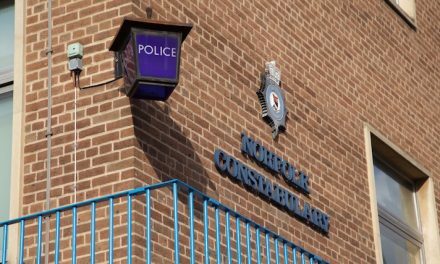 We urge the public to tune in to national/local news bulletins and to follow the @NorfolkPolice Twitter account for advice and information about keeping safe. • What do I do if there is a terrorist incident in Norfolk? If you are caught up in a firearms or weapons attack we urge you to stay safe by following the ‘RUN. HIDE. TELL.’ advice. • TELL, when you can, the police what’s happening. The police can get help there quickly to stop the threat. Also tell others of the threat so they don’t approach danger. • What do I do if I suspect someone is involved in terrorism? We ask the public to remain calm but alert – if you see anything which causes you concern, then call the police immediately on 999 or the anti-Terrorist Hotline on 0800 789 321. Look out for anything that seems out of place, we would rather investigate concerns which come to nothing, rather than hear an incident could have been prevented.